The 67th Annual Undergraduate Exhibition will showcase the talents of Undergraduate students in the Division of Graphic Design as well as the other disciplines in the School of Art. 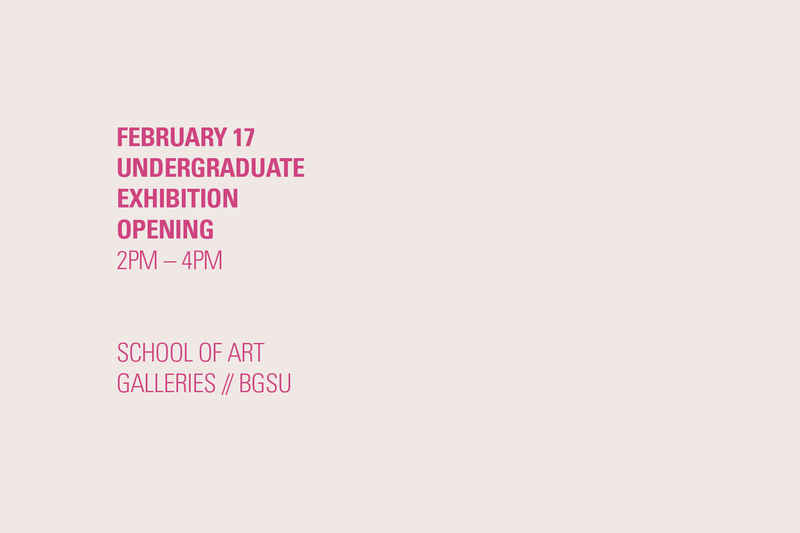 The opening reception is February 17, 2pm − 4pm. The show runs through March 3rd in the BGSU Fine Arts Center’s Dorothy Über Bryan and Willard Wankelman galleries.